Inspired by classic Italian design, this building showcases the best of Italian architecture creating a timeless impression in the Oliver East neighborhood. From the Italian inspired colors of the building, to the grand fountain out front, to the expansive mosaic murals inside, this building is sure to create a lasting impression! Now where else in the city will a condominium allow residents the chance to experience the renaissance in urban living. 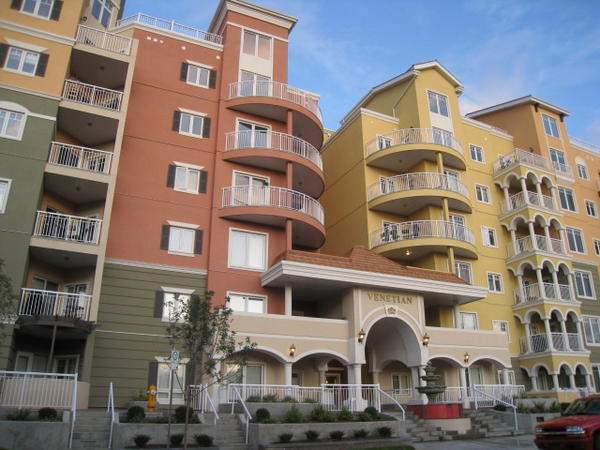 You'll love this expansive one bedroom plus large den suite. Catch the spectacular views from your balcony. Sit and relax by the gas fireplace in your living room. Cook up a delicious Italian inspired meal in your stunning kitchen complete with stainless steel appliances including a fridge, stove, microwave and even a dishwasher! The master bedroom offers a large walk-in closet with the full bathroom just outside the door! Your den offers plenty of space for a home office or music room and comes compete with double french doors. In-suite laundry is a plus, as are double front entry closets! Do not miss your chance to live in one of Edmonton's finest, most luxurious condos! Located in the heart of the Oliver district, you'll the convenience of having everything at your fingertips - two grocery stores, 20+ restaurants and bars, Macewan University and the new Rogers Arena and surrounding Ice District. Plus the LRT line and major bus routes are within walking distance! One Underground Parking Stall Included.